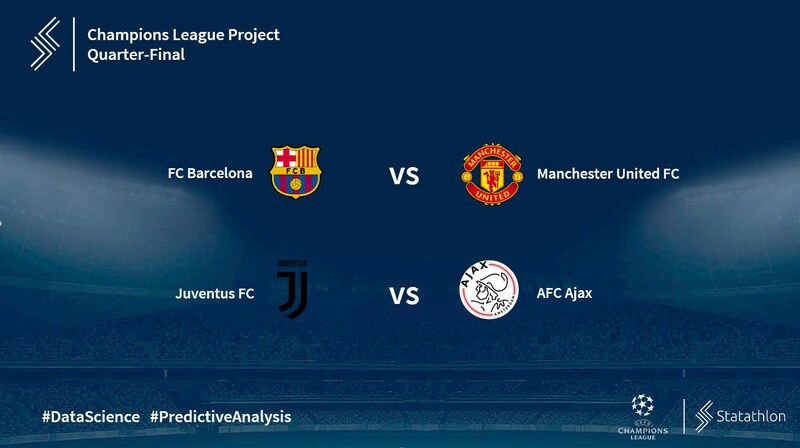 FC Barcelona and Manchester United FC, are going to give their second game for the quarter-final at the Camp Nou stadium. FC Barcelona won the first game with 0-1 and is without any doubt the favourite team to proceed to the semifinals. Ernesto Valverde and his superstar players like Lionel Messi, Luis Suarez and Ivan Rakitic are among the favorite teams to win the 2018/19 Champions League trophy. On the other hand, Ole Gunnar Solskjaer, has plenty of talented players at his roster. Players such as Paul Pogba, Romelu Lukaku and David De Gea will try to do their best in order to win the second game and be the one that they will proceed to the semifinals. Juventus FC and AFC Ajax will play against each other in the Allianz Stadium for their second game in the quarter-final. During the first game, both teams scored one goal in a game that ended with a 1-1 draw. Massimiliano Allegri, together with his superstar players, such as, Cristiano Ronaldo, Paulo Dybala, Douglas Costa and the captain Giorgio Chiellini will try to lead Juventus FC at its 3rd Champions League title. On the other hand, Erik ten Hag and his talented players such as Dusan Tadic, Nicolas Tagliafico, Donny van de Beek and the rising star captain Matthijs de Ligt will do their best in order to proceed even further on the 2018/19 Champions League and reach the semifinals.